There was a record turnout from the Harriers with 35 juniors competing over the one and two lap races around Ashton promenade, and despite the strong cold breeze making conditions far from ideal there were some outstanding performances from the youngsters. Shaun Wiseman’s recent good form continued as he came from behind when trailing after the first lap to pass Ben Campbell in the closing stages to win the 2 lap race. The duo were followed across the line by David Docherty and Euan Johnson both dipping under 10 minutes for the 2.5km course. Leading girl and just 1 second outside the under 13s girls record was Ava Beaton, with Sophie McGinty returning to form claiming the runners-up spot, with Maria McCabe in 3rd. Over one lap it was the under 15 boys who led the way with Harris Morris setting a new course record with Jude Dolan in 2nd. 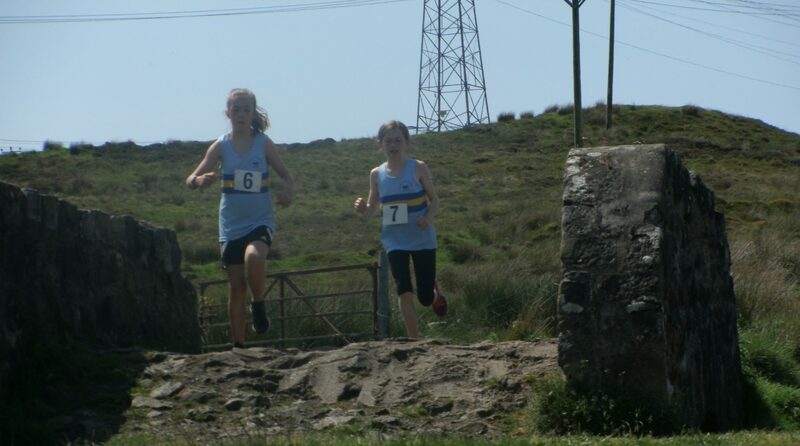 In the under 11s race Douglas Campbell went clear of Leo Beaton who just held off Cameron Crawford. Erin McEleny was leading girl with a sub 5 minute run, a few seconds behind was Summer Taggart, with Leah Knox holding on for 3rd. 1200m: Harris Morrison 4.05, Jude Dolan 4.20, Douglas Campbell 4.33, Leo Beaton 4.52, Cameron Crawford 4.53, Erin McEleny 4.59, Ruari Trainer 4.59, Connor McCrorey 5.01, Summer Taggart 5.02, Johnathon Lamont 5.03, Leah Knox 5.38, Mirren McConnell 5.42, Aimee McEleny 5.46, Isla Newsome 5.52, Ben Mullan 5.52, Beth Docherty 6.02, Grant Monroe 6.05, Matthew Ross 6.06, Stella McCabe 6.20, Jack Campbell 6.25, Nathan McDonald 7.24. 2500m: Shaun Wiseman 9.21, Ben Campbell 9.24, David Docherty 9.54, Euan Johnson 9.57, Ava Beaton 10.03, Sophie McGinty 10.53, Nathan Adams 11.07, Maria McCabe 11.31, Francesca McKay 11.47, Sophie Campbell 12.04, Emma Aitken 12.12, Olivia Trainer 12.14, Alex Wiseman 13.06, Abbigael Crawford 13.43. This entry was posted in Uncategorized on April 14, 2019 by greenockglenparkharriers.